Nashville, TN -- The world of bluegrass music has lost more than a double handful of its emblematic festivals in the past year, but with decades of family-friendly events from Florida to Virginia under his belt, one event producer is still going strong. Norman Adams has produced over 200 events during 43 years as a bluegrass festival promoter, including one stretch where he presented Bill Monroe, the Father of Bluegrass, for 25 years in a row—and today, he's still giving a platform to the top acts in bluegrass on a regular basis, averaging 10 festivals a year. By our count, he is the top employer in Bluegrass. The Gibson Brothers' brand of bluegrass is a visceral mix of heritage and soaring harmony, making them the premiere brother duet of the genre, following in the footsteps of legendary brother acts such as the Stanley Brothers, Jim & Jesse, and the Osborne Brothers. Their first-ever album of entirely original songs, In the Ground sees the Gibson Brothers taking on their own roots as the sixth generation of Gibsons to grow up on their family farm. 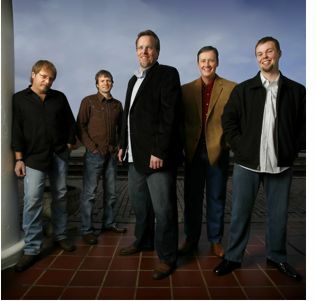 Nashville, TN -- Beloved bluegrass group the Gibson Brothers is celebrating a previously unprecedented feat: with the ascent of their album Brotherhood to the number one spot on Bluegrass Unlimited’s album chart, they become the first band in the chart’s history to reach the top spot over eight consecutive albums. Nashville, TN -- Acclaimed bluegrass musicians and Rounder recording artists Eric and Leigh Gibson are to be honored by the State University of New York (SUNY) with honorary degrees of doctor of fine arts at SUNY Plattsburgh’s spring 2015 commencement, which will take place on May 15. Nashville, TN -- The Gibson Brothers, one of the most acclaimed bluegrass bands on the scene, have signed a deal with Rounder Records, it was announced today by label co-founders Ken Irwin and Marian Levy. In the twenty years since they recorded their debut album, Underneath a Harvest Moon, brothers Eric and Leigh Gibson have become one of the most popular and critically lauded groups in contemporary bluegrass. 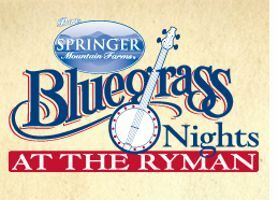 Pigeon Forge, TN -- A perfect way to jump start the summer, Dollywood’s Barbeque & Bluegrass pairs the best barbeque in the South with the biggest names in bluegrass. This May 24-June 8 event includes free daily concerts throughout the park from artists including The Time Jumpers featuring Vince Gill, The Boxcars with J.D. Crowe, Riders in the Sky, The Bankester Family and many more. While the music serves as a treat to the ears, Dollywood’s award-winning food provides the perfect complement for the taste buds. Tender and tangy ribs, pulled pork, barbequed chicken, smoked sausage and more make this the ultimate family picnic. Raleigh, NC -- At the sold-out International Bluegrass Music Awards tonight at Raleigh’s Duke Energy Center for the Performing Arts, Compass Records bluegrass artists won seven total awards, including the top prize, the Entertainer of the Year award. Reigning Entertainers of the Year The Gibson Brothers took the prize for the second consecutive year, as well as awards for Vocal Group of the Year and Song of the Year, with the title track from They Called It Music, which was also nominated for Album of the Year. Eric Gibson also received the Songwriter of the Year award.